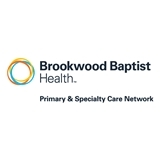 Brookwood Medical Partners- ENT (Birmingham) - Book Appointment Online! Really liked this doctor. He took the time to listen to what I had to say and gave me good feedback. Gave me several treatment alternatives. Suggested an OTC medication rather than a prescription. Highly recommend.